Aspirinox Alloys Inc is a leading manufacturer, suppliers, stockiest and exporters of Alloy Steel P91 Seamless Pipes for high-temperature industrial applications. 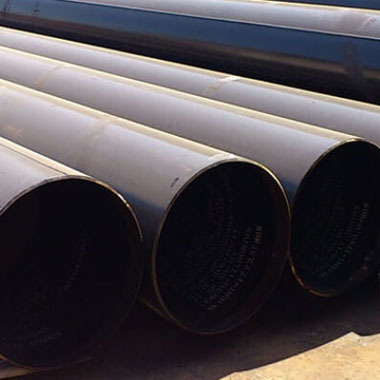 These alloy steel seamless pipes are widely used in different industries such as oil & gas, power plants, shipbuilding, heavy engineering and other industries. All our offered range of products are conforming to various national and international standards such as API, ASTM, ASME, ANSI and other standards. We specialize in producing and designing highest quality ASTM A335 Grade P91 Alloy Steel Seamless Pipes P91 in a different size, specification, grades & thickness as per the client’s requirements. Our mill finished Alloy Steel P91 Pipes are well known in the industry and used for various commercial applications. All our provided products such as Alloy Steel P91 Seamless Round Pipes are widely appreciated for their high strength and durability. Alloy Steel P91 Seamless Rectangular Pipes are offered in compliance with various specifications as per the customer requirements. Aspirinox Alloys Inc offers a complete line of products, services and technologies within the energy efficiency industry. Contact us today! Specifications for Alloy Steel P91 Seamless Pipes. If any specification is not mentioned here, please use the contact button for quick quote. Contact us or click on the below button to request a latest Alloy Steel P91 pipes price list. Aspirinox Alloys INC is dedicated to providing the world class Alloy Steel P91 pipes that cater all your demands at very competitive rates.